Problems in an electronic device are not the unusual thing and so in your Android device. You own Samsung Galaxy S7, good, but there comes a time when you come into contact with one from a number of difficulties in your device. For instance, your device doesn’t respond, stuck on one window or black screen or it gets freeze. Well under all those scenarios, there’s a huge need to hard reboot Samsung s7 to fix them. However, if you have no knowledge on how to reboot Samsung S7, here is a tutorial to get the picture. The word “Hard” relates with hardware. A hard reboot signifies that you are handling the hardware. To get rid of your Android device from being unresponsive or freezing problem, your device calls for hard reboot. 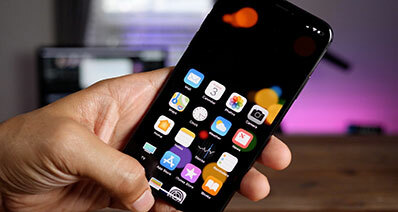 Basically, in a hard reboot, you are removing the device’s battery to get all functions stopped immediately and turn off the device, the next time you turn on your device it will have a fresh start. But in some devices, like Samsung Galaxy S7 which doesn’t possess detachable batteries, there’s a requirement to stimulate battery pull. Hence, if you are going to hard reboot Samsung Galaxy s7 or we can say, if there’s a need to force restart Samsung Galaxy S7, you need to go after the following steps. Step 1: Press the “Power” and “Volume Down” buttons altogether. Step 2: Stick the buttons like this for almost 10 seconds. This will stimulate battery pull. 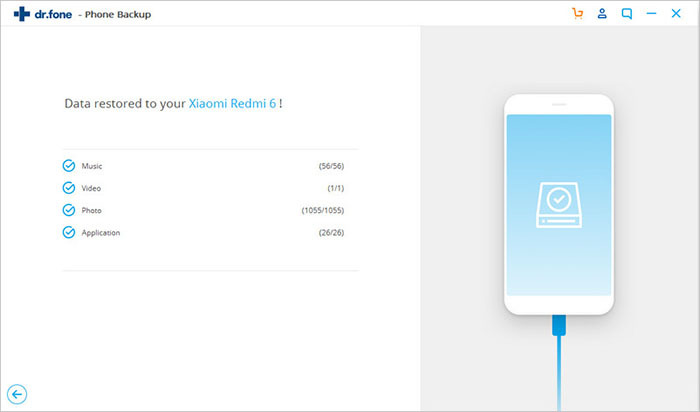 Step 3: Once the reboot animation is visible to you, release both the buttons. These effortless steps above to hard reboot Samsung s7 are certainly going to assist you and you can use your device the way you use it when it was normal. Although valuable, forcing to restart Samsung Galaxy S7 may end up losing the data on your device with no solo warning sign. For that reason, before going to force restart Samsung Galaxy S7, you are supposed to backup your data to totally secure it. And that can be done with iSkysoft Toolbox – Android Data Backup & Restore. This is believed to be one of the best software to backup your important data that you can’t afford to lose. Also, it lets you restore the data after you force restart Samsung Galaxy S7. It is compatible with all Android models. 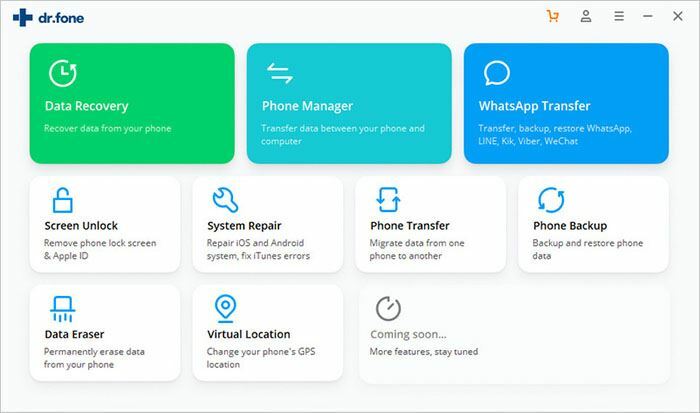 You can take benefit of restoring numerous files like contacts, gallery, call history, videos, calendar, messages, application, etc. It helps out in backing up data with no replacement of existing files from the fresh ones. 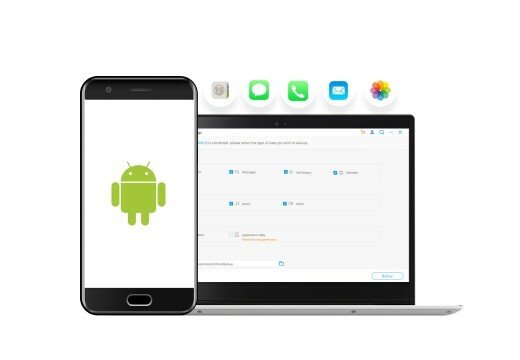 The best part about the software is it allows you to restore the data from your phone to another Android phone. The software is 100% safe, user-friendly and trustworthy. Let us know understand how you can backup and restore after doing hard reboot Samsung Galaxy S7/S7 Edge. The step guide begins from downloading and installing iSkysoft Toolbox from the Download button below. Launch it subsequently and from the appearing main window having some options, select “Data Backup & Restore”. Connect Samsung S7 to the computer using a USB wire. A pop-up may come into sight saying you to allow USB Debugging. If that happens, click OK. Now it’s time for the program to detect the device and choose “Backup”. A scanning process will run in the device and the categories will become visible to you. 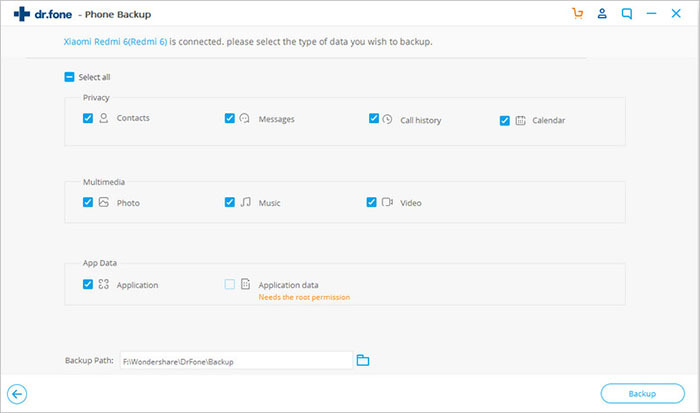 You can either backup everything by selecting “Select all” or selectively backup by clicking on the boxes adjacent to each category. Once this done, choose to click on “Backup”. After backup process initiates, it will take time according to the size of data. 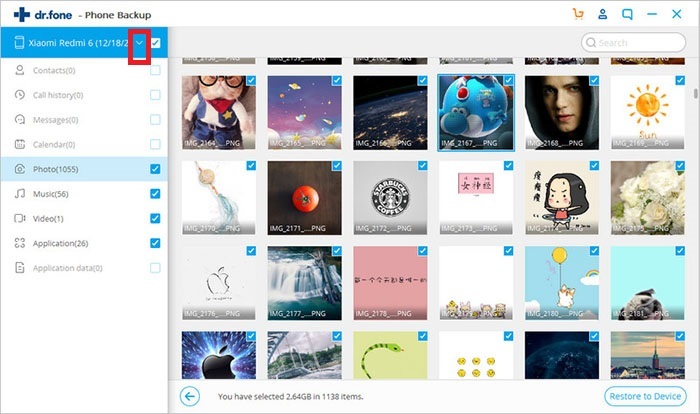 Now you have backup data and you may preview them by choosing “View the Backup” option. Launch iSkysoft Toolbox. 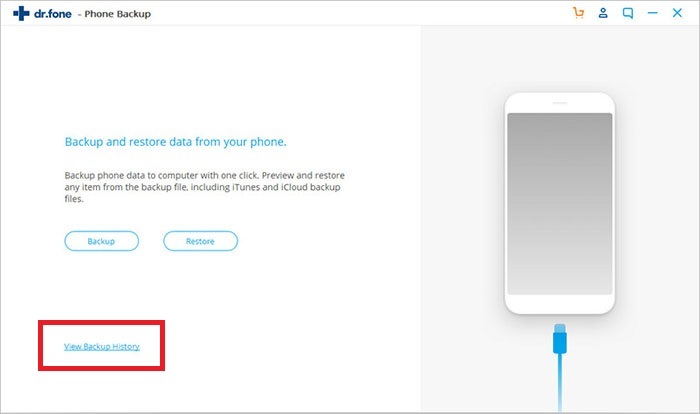 Choose “Data Backup & Restore” option. With a USB cable, connect the device and computer. Choose “Restore” and it will show the most recent backup files. 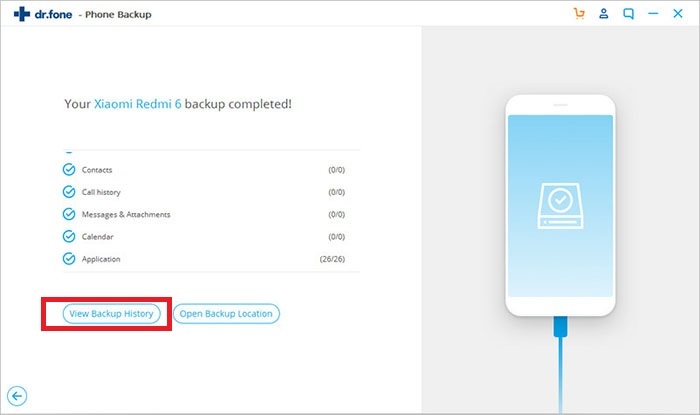 Hit the dropdown icon to get the other existing backup files too. 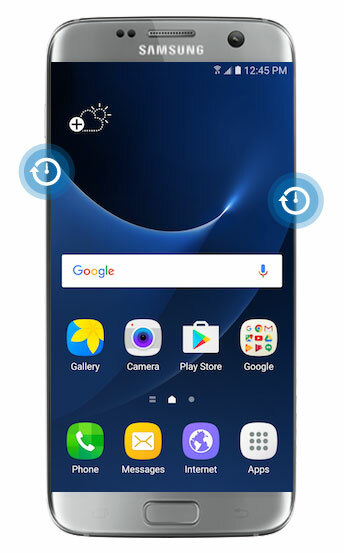 Water Damage: The freezing problem can occur in Samsung S7 due to water damage. Accidental dropping of phone in water can be a heartbreaking experience for anyone. Also, frost phone after water damage is no less than a disaster. You can’t avoid accidents but yes, a kind of ring accessory is in trend nowadays that can work against dropping the smartphones. Use phone while it is heating: Android phones many times encounter heating problem. There are various reasons for a device to get heated up. Continuous usage of phone while you experience heating in the device can be responsible for a freezing Android device. Avoid overuse of phone or don’t play games in excess once the phone starts heating to avoid the freezing issue. Also, use a compatible charger each time to keep away the charge related issues like over-charging and heating. Downloading from Unknown Sources: Downloading or installing anything from sources that are unknown or unidentified is highly inadvisable. It may freeze your device due to viruses and malware that are hazardous for any Smartphone. Don’t download any application or anything from other sources than Google Play Store. It is a trusted source to get the applications downloaded. 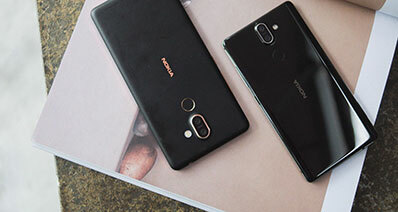 Hardware Malfunction: Sometimes, the phone gets freeze due to some hardware issue too. It could happen due to either when RAM is not working properly or external/internal storage may have some bad sectors that are unreadable. This may happen due to dropping of your device or water exposure. Try avoiding these two situations that can trigger hardware malfunction. To get everything altogether, problems are inevitable, but their solutions are always available. You just need to look for them. Also, iSkysoft provides some very tireless steps to perform to get these backup and restore issues resolved. And most luckily, this article is definitely going to solve your confusions regarding how to reboot Samsung Galaxy S7 forcefully or how you can backup and restore data. How to Restore Android Phone Completely or Selectively? 4 Ways to Get It!